That was my metaphor because the previous weekend it had been Everyone In Minnesota Sell Your Home Day and the first sign for the open house down the road was 13 miles away. Unless you were blind (and if you are, why are you driving?) the Edina Realty signs would take you right to the door. In my little corner of extreme northeast Washington County, our annual Summer festival is called Taco Days. I’m not sure why since the Hispanic makeup of the market is about .0002%. But it’s a tradition and you can’t argue with traditions. It’s always the second Saturday of September which is opportune because the State Fair is over, people have just returned to life and school and are already beginning to regret it. So they escape to the scenic St. Croix River Valley for a day of hiking and eating and boating and climbing and the Daze folk, while owning the locals, always look to pull heavily from the tourists. How do they do that? With signs. Simple signs. That start six miles to the west, one mile to the east, five miles to the north and five miles to the south. Simple progressive signage placement every fifty yards. For miles. If you miss one, you won’t miss the next thirty or forty. Plus the key intersection of 15 and 97 and 95 and 97, to insure they get the high traffic byways. Called byways because they miss us and go right by us. Not unlike the Wall Drug signs of yore that became viral when Polio was still viral, and travelers around the world were alerted to a small tourist destination in Wall, South Dakota. The Newcap cluster in Fredericton really embraced progressive signage. Signage to promote appearances and events and even simple cash contests. A line of cheerleaders spelling out a phrase is more likely to get a morning commuters attention than a quick 17 second promo that is indistinguishable from a spot for Maggengill in its energy and excitement level. They also did easel banners that would line the road for a couple of blocks leading up to a remote. They laid out a phrase alerting people that they were just moments away from their favorite radio station and they should stop and win stuff and get fed and hydrated. 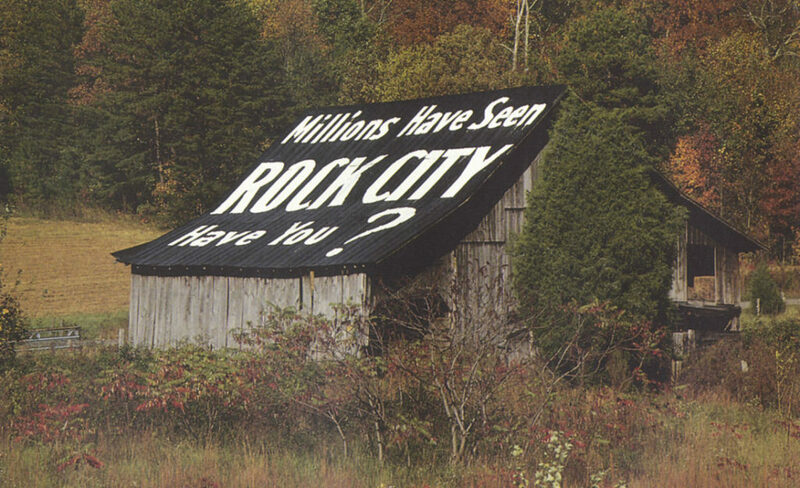 The best example of outdoor that engages you, piques your interest and points you in the right direction was the historic barn painting campaign by a small, almost un-heard of tourist attraction on Lookout Mountain outside Chattanooga, Tennessee. 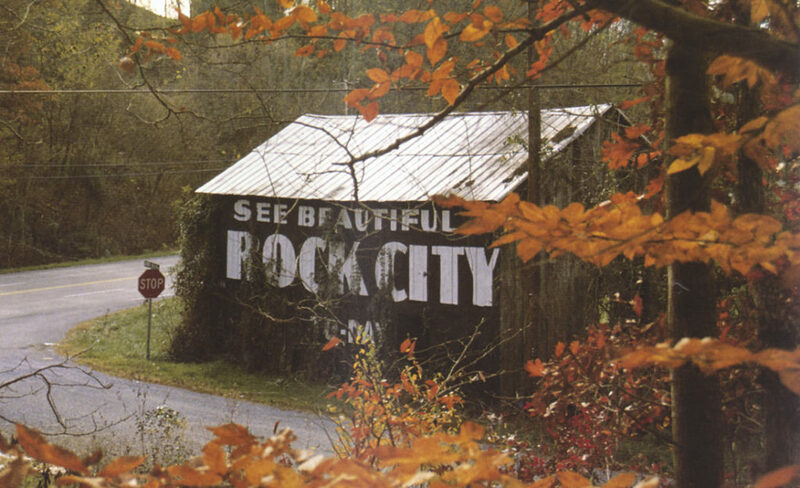 People around the region knew Rock City as a geographic anomaly that offered views of 7 states, your Model T could make the climb and the height afforded respite from the summer heat. 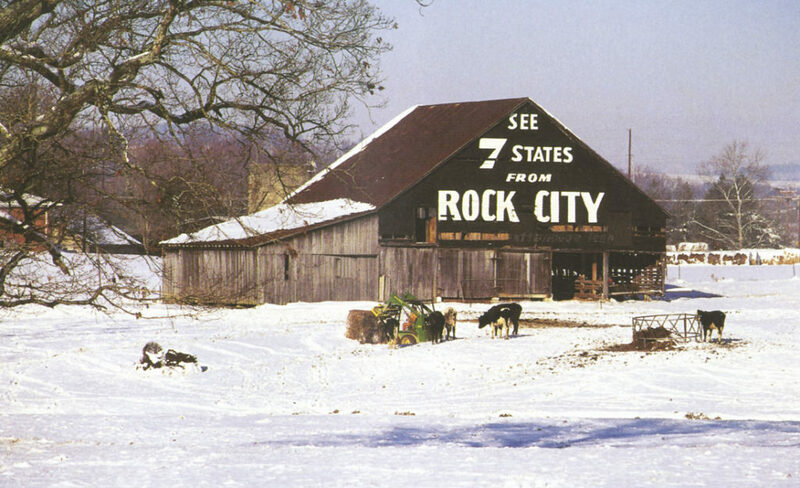 In 1932 the owner of Rock City found a young, unemployed painter and sent him around the region offering to paint farmer’s barns for free, if he could include three simple words: See Rock City. 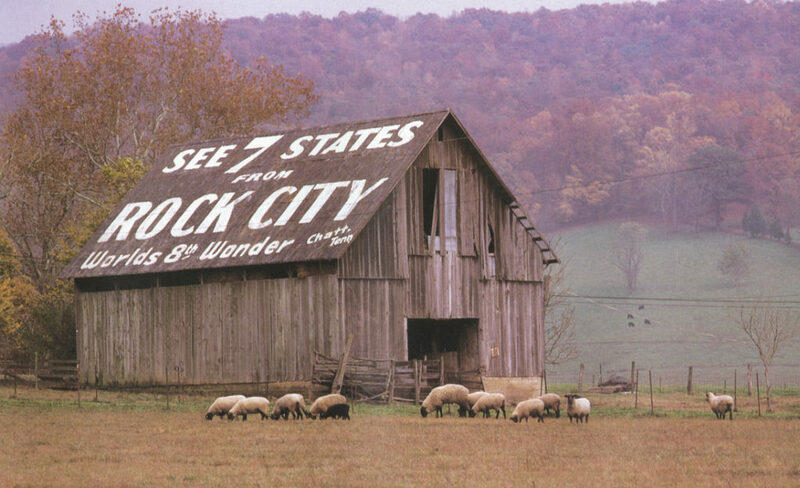 And he was painting until 1969 and went all over the eastern half of the US. 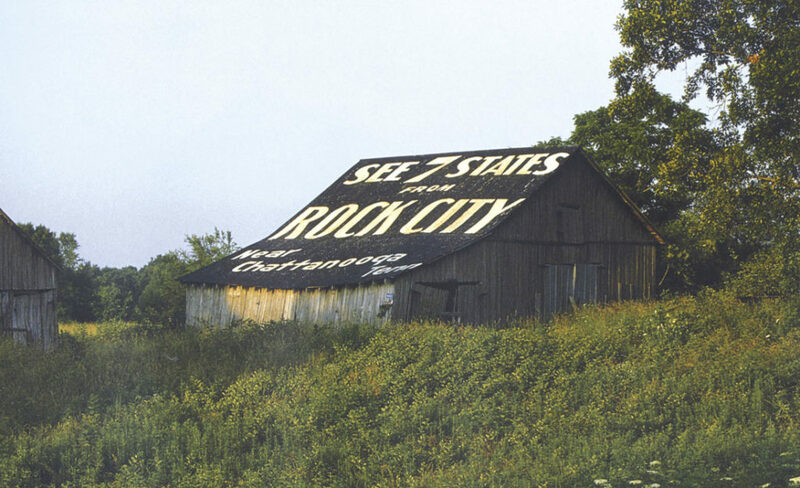 Rock City is still around, is bigger than ever and people know about it because of this simple, brilliant idea. I was driving my brothers car to Florida with a friend and we went right through Chattanooga. 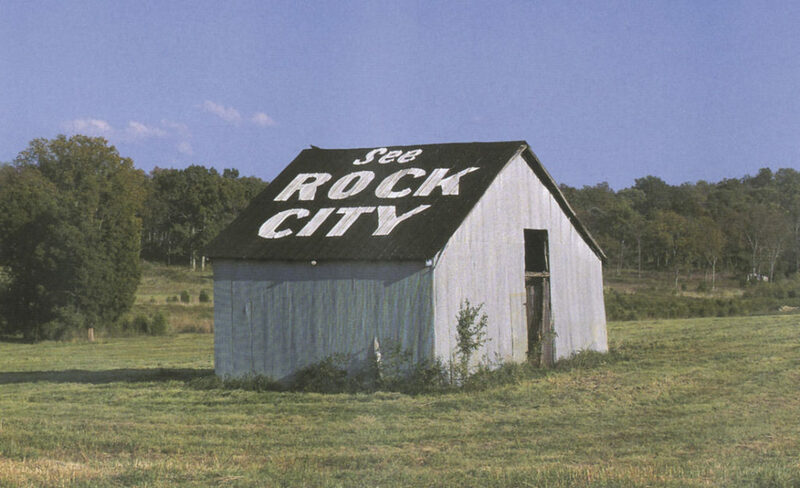 I’d been telling her for 100 miles that we HAD to stop at Rock City. I’d gone there with my parents in 8th grade. IT WAS SO COOL. Me: I want to get something quick that will hold me over until Atlanta. I’m going to grab a hotdog. Charlotte: Uh, it looks like it’s been in there since they opened this place (it did). Me: I have an iron stomach. I’ll be fine. I’ve never had a problem with food. Charlotte: This is really NOT a good idea. Me: Stop worrying. It’s a hot dog. We were about half way through the 99 mile drive to Marietta when I felt a bit of a lurch in my stomach. 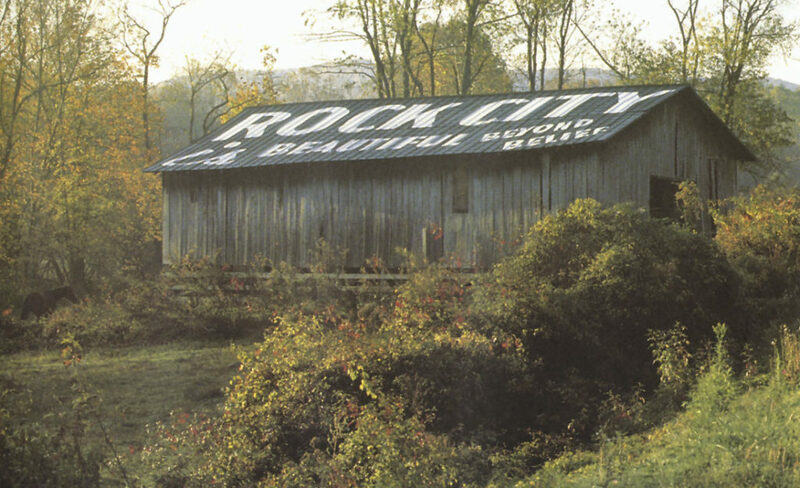 I spent a good chunk of that evening in the lobby bathroom at the hotel since I really didn’t want to give her the pleasure of hearing me violently and with great anguish, purge everything that I’d seemingly eaten since my first visit to Rock City. And thirty years later she will remind me of it about once a year.